"My tie whipped in my face as I jumped from a 20-story building. Everything I had worked for, everything I had invested in, was gone. It was a stormy day for Mother Nature and the stock market: October 29th, 1929. I thought of what my life would have been like as a bird, flying free. I started laughing and flapping my arms. After all, who did I have to impress now? What I didn't expect was to survive. A curiosity stuck my mind at the same time my feet struck the pavement. It was a question about the night before." Join a risk-taking vampire as he explores why vampires exist. No, just not interesting enough. I am a nerd for Vampire stories but this one just miss the mark. The reason why I don't usually listen to short stories is because of lack character development. When I read the description for this book I thought it was a very interesting premise. The story was interesting enough that why I requested a copy to review, but the lack of character development just didn't hold my interest. This is a fun and unique vampire story that doesn't focus on the entrancing and bloodletting of humans, but instead on the search for an answer to "why am I a vampire?" There are some unexpected discoveries and new mythologies created in this world that make for potential future tales. My critique would be that the narrator made some interesting choices with intonation and specific voices (particularly Richard) and that the full story could have used a quick run through by an editor. otherwise, this is a fun listen worthy of an hour of your time. This was an interesting take on the origin of vampires. It is a short story but it was surprisingly detailed and the characters more developed than I would have thought. 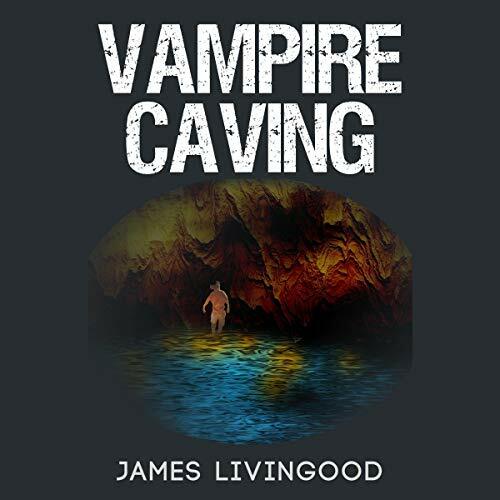 The story and the actual explanation of what vampires are could have been detailed more clearly but I enjoyed listening to the story and the narration was good. It's worth the time if you want something not too dark or serious and have a short amount of time to listen. I received this audiobook for free through Audiobook Boom! and am leaving honest feedback about the quality of the material. What made the experience of listening to Vampire Caving the most enjoyable? I felt that it was a new take on an old theme. Sure we have seen vampires exploring their origins before in other works such as those by Anne Rice, but never like this. It was just a very different take. I really enjoyed the portrayal of the two different vampire "sects" if you will. The risk takers and the power behind the race. It presented a really interesting dichotomy. I enjoyed when John was trying to teach his recluse patron about email and how you didn't need to pay for each one. An amusing take to be sure. Would you try another book from James Livingood and/or Bryan Patrick Jones? Have you listened to any of Bryan Patrick Jones’s other performances before? How does this one compare? Decent short story. I liked the take on vampire origins. I received this audiobook for free through Audiobook Boom for my unbiased review. As a short story I really enjoyed it. It was a vividly told. I would recommend this book to anyone who is into vampire short stories. It's sweet plot line is unique telling of the vampire lore. This book starts off in the 1920's during the depression with a vampire trying to kill himself knowing he won't die then turns into modern day with cell phones, electronic mail and trackers. Basically a guy or vampire (honestly I could not tell which he was) goes into a cave looking for something and finds water people but doesn't tell the people funding his mission. It's a short book obviously not a lot of filler. Narrator did a good job, would listen to him again. I was just confused by the book. Worth a credit, honestly, I'm confused about that too! What was one of the most memorable moments of Vampire Caving? When the Queen indicated that vampires arose as part of a changing "balance of life." The usual vampire myth shows them as, at best, a morally ambiguous anomaly, with no natural place in the world, and at worst a rampageous predator that could decimate the human race. I will have to think about the implications of the premise that vampires were the indirect result of a literal act of God. I received this audiobook free in exchange for an honest review. I never thought of food and water being "tended" resources requiring early specialization. I can see that need coming up in the future though, as we use up our aquifers and pollute our surface water. Shortages are already an issue in the Middle East that is being watched by governments and environmentalists alike. So I had a moment of future-vu as I listened to the story.